This week I was lucky enough to have the week off work. Monday thanks to the Queen's Birthday (God bless you Liz, even though your Birthday falls on April 21). From Tuesday onward, I was recovering after having all 4 Wisdom Teeth removed under a general anaesthetic. I will speak only of 2 things regarding this procedure. 1. If you have the opportunity and can afford it, GET THEM OUT BY GOING UNDER. 2. Be prepared to have a liquid/soft food diet for about 10-14 days. I had spent most of the last 3 days on my couch in my pajamas, so was able to watch lots of TV and DVDs. Last night I was was feeling rather sadistic so I watched some cooking shows. I watched a few episodes of Nigella Express. I was so glad when she offered me some salvation to my flavour-starved palate. Now I had to tweak her recipes a little but here is what I had for my dinner. 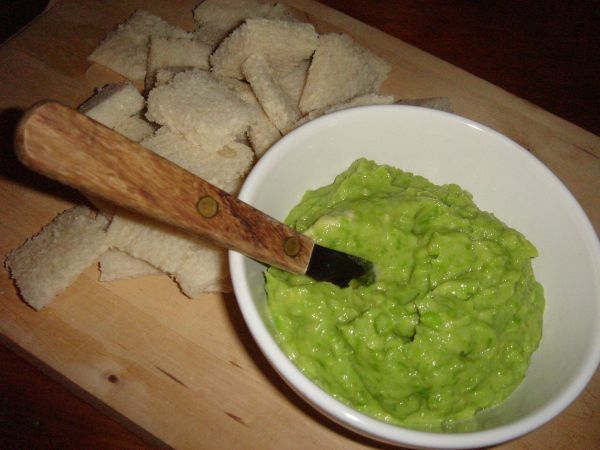 Blitz until you reach your desired consistency, drizzle in a little olive oil and blitz again to amalgamate. If mixture is too thick, you can thin with a little drizzle of water. Check seasoning and adjust to taste. Serve on crackers, pumpernickel rounds, toasted cibatta or corn chips. So that was dinner. Because my mouth is in recovery mode, rather than crackers, I cut the crusts of a few slices of white bread and then cut them into bite size squares. If you decide to make this recipe for part of a mezze plate for a party, you need not tell anyone that my recovery from tooth extractions was the inspiration. Or if you think it will make a great party-starter story, be my guest. As my tummy has shrunk from eating like a sparrow all week (can you believe it!) this was certainly enough to fill me. When I say 'fill me' you should know this does not include my 'dessert belly'. 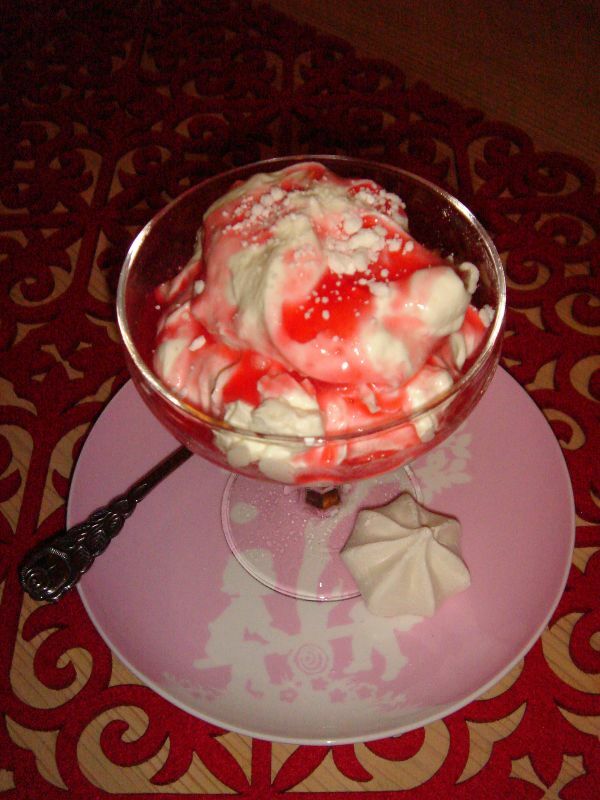 So Nigella suggested 'Eton Mess'. Now the origin of this recipe is a jaunty little story about how boys at Eton College, Britain in the 30's would mash up strawberries, cream and meringue into a messy pudding, thus becoming Eton Mess as we know it today. Oh so civilised! Put berries and sugar into a bowl and heat in microwave on high for about a minute (Keep your eye that it doesn't burn or boil over). Check that sugar has dissolved. If not, microwave for a further 30 seconds. Pass through a strainer, reserving the syrup and discarding seeds. Put in the fridge to cool. Pour cream into a metal mixing bowl, add vanilla and sugar to taste. Beat until soft peaks, be sure not to over beat, you want the cream to be soft and 'billowy'. Take a handful of mini meringues and crumble into the mixture, folding gently to combine. 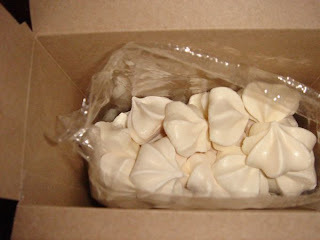 Mini Meringues - What a fabulous supermarket find! Take your chosen serving bowl (I used cute little old fashioned champagne glasses I got from an op shop for 40c each) and put a little crushed meringue in the bottom. Generously spoon over your cream and drizzle coulis over the top. I am happy I chose to torture myself with food television because had I not, I would have not found the inspiration for my dinner last night. It definitely made me feel better to be back in the kitchen again. Thank you Nigella. I'm still yearning for a big juicy steak though.